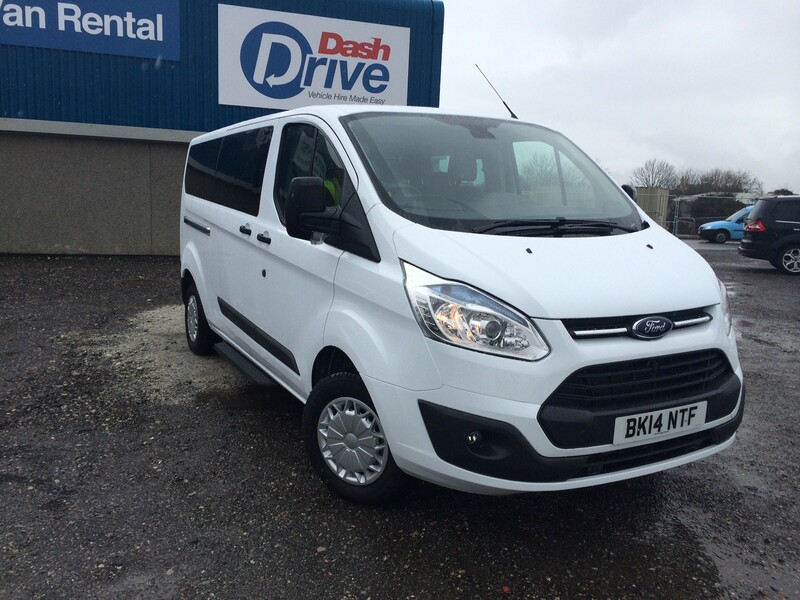 As part of our continued growth we have added 9 Seat minibuses on to our daily rental fleet. The new Transit Custom Tourneo, seat 8 passengers and the driver comfortably and even has enough space for all their luggage. The New Custom Tourneo Trend comes with great features including front and rear parking sensors, Bluetooth, cruise control, ISO Fix seats, electric wind mirrors and many more. This complements our existing fleet of 7 seat MPV’s and 17 seat minibuses and fills the gap when 7 is too small and 17 too big. The big advantage that 9 seat vehicles have over bigger 17 seat minibuses is that you can drive them on a standard car licence. 9 Seat Tourneo’s are available now to rent from just £89 per day.